“The 2017 yachting season with 65 superyachts visiting the country was a record year for the company. 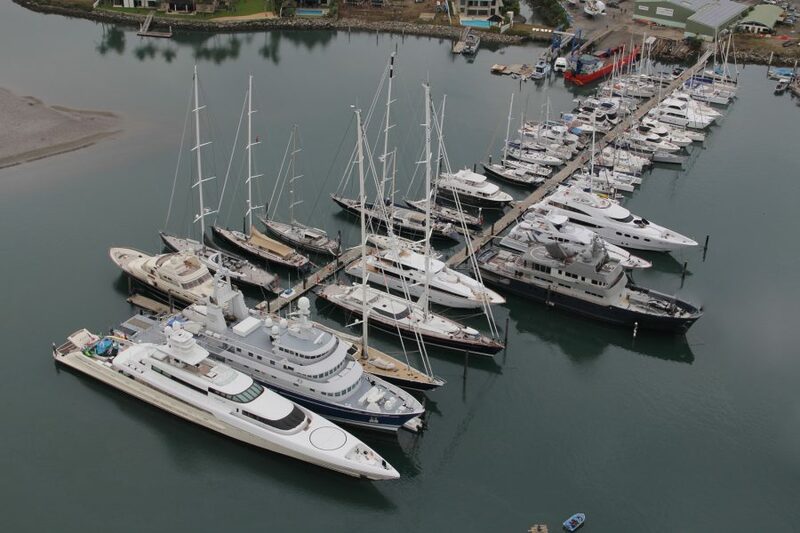 Considered a hub for the country's visiting super yachts the marina welcomed 554 yachts and 65 superyachts last year, this shows strong growth from 2016 following Cyclone Winston”, stated Denarau Marina general manager Cynthia Rasch in an article in the Fiji Sun. “Port Denarau Marina in Fiji is expecting more than 700 vessels visiting its shores this year and the 2017 yachting season had a total of 11 weeks of charter sold to visiting superyachts in Fiji”, Ms Rasch concluded. David Jamieson of Asia Pacific Superyachts Fiji adds, the number could go up to 750 yachts and superyachts. He said, “The Government's reduction of the Super Yacht Charter Tax from 12.5 to 10 percent will also help in the increase of visiting yachts”. Jamieson explains, “The Super Yacht Charter Tax is no longer called a ‘superyacht’ tax. Superyachts are now charged an environment and climate adaptation levy of 10 percent, levied on the stated gross charter fee as disclosed in the charter contract”. He also points out, “Asia Pacific Superyachts Fiji services are not only for superyachts but also almost every visiting cruising yacht needs supplies and some form of repairs. So there is a huge market with over 750 visiting yachts expected this year with the numbers growing steadily”. David believes this number will exceed a thousand visiting yachts annually once the Lau Clearance Post is operational. He says the yacht tourism market brings many benefits to Fiji, over and above the direct income generated from the industry. From his early tiny business when Jamison first visited Fiji, David has seen the yachting industry become a significant contributor to the Fijian economy. Firmly established, his company has a staff of over forty people including head office and the repair and maintenance facility in Vuda. His yacht services company hires inexperienced school leavers to train to do the cleaning and polishing work on the yachts and many of these people, both male and female, are offered a job on the boats full time, opening up enormous opportunities for travel and professional advancement. The world superyacht market of over 5,000 is set for growth in Fiji. Jamieson knows the industry very well and is ready to provide visiting yachts quality services. Jamieson says, “In the superyacht industry, Fijians are now sought after for crew work. This is one outcome that we are very pleased about, as it provides a great career path and high income for Fiji people”. Sri Lanka… the next sailing destination in Asia?